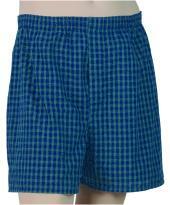 From light to heavy incontinence, this boxer short will provide the protection you need with the dignity you deserve. Dignity Men's Incontinence Boxer Shorts look and feel like underwear found in fine men's apparel departments. In fact, they look so normal, no one would suspect you were wearing a protective garment. The special floating protective "pad pocket/support" with Lockage Leak is the great feature of the Dignity Men's Boxer Shorts. The pad support is made from a moisture-proof tricot barrier fabric. It is sewn discreetly from the front to the rear of the garment still allowing easy access to the fly front. For added incontinence protection, you can place more than one pad in the "pad pocket/support." There are many different pads with absorption levels from light to heavy. Fabric is a 60% cotton/40% polyester blend. To launder, hand or machine wash in warm water, no chlorine bleach. Tumble dry on a low setting. 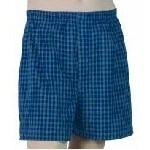 The Boxers include a sample Thiniserts Pad. For moderate urinary incontinence. With a functional fly!